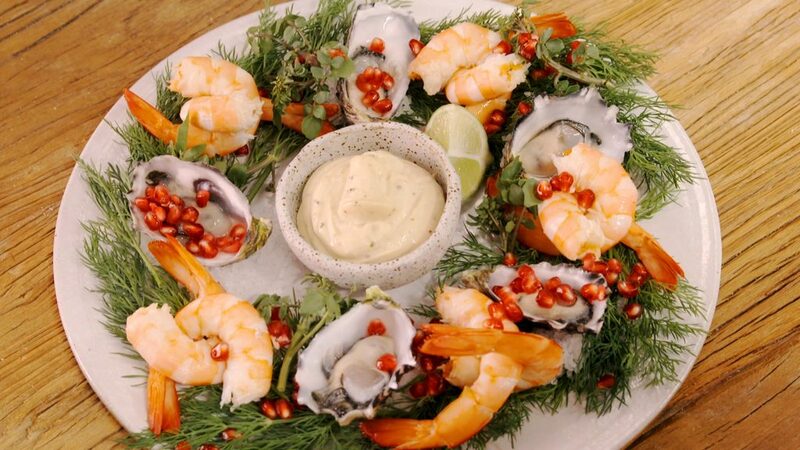 Nothing says Christmas in Australia like a fresh seafood platter… so here’s an idea for some festive fare that will fly off the plate. Firstly, grab yourself a nice round serving platter and place washed dill around the plate to create a wreath-like shape. Then pile a generous tablespoon of rock salt in 5 even piles around the plate. This will act as the support for your fresh oysters when placed on top. Fresh oysters are perfect for a summer seafood platter but if cooked oysters are more to your liking, follow our guide on 4 ways to cook an oyster. Next, peel the heads off 10 cooked prawns, leaving the tails in tact. Then intertwine the bodies and place them around the plate in pairs. 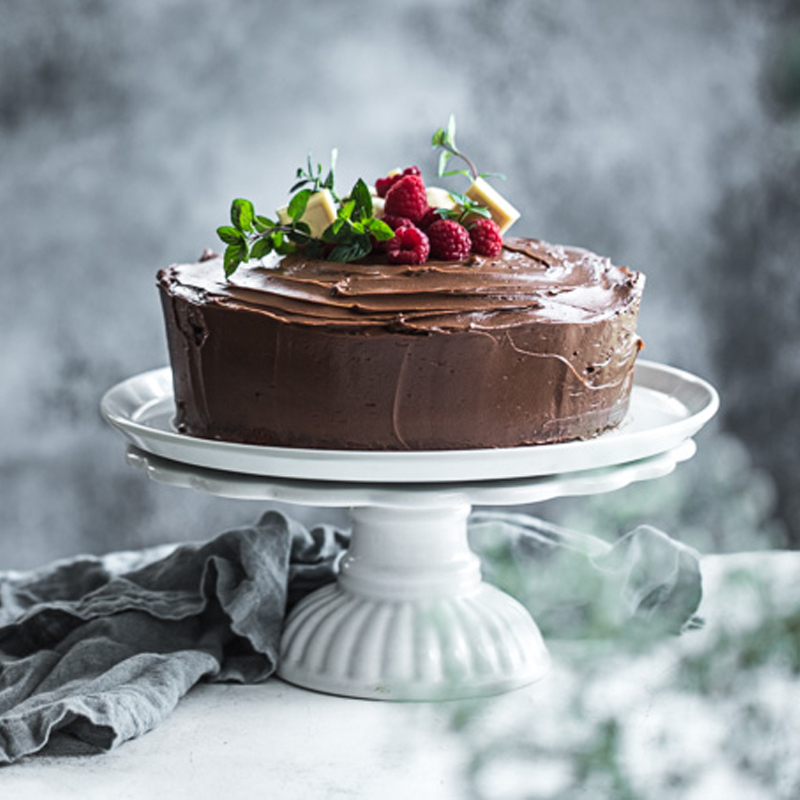 Finish it off with some aioli, a wedge of lemon or lime and a sprinkle of pomegranate seeds.